An esteemed member of the architectural design community, Jane K. Hence continues to thrive at the head of JKH Design, which she has owned since 1989. She is responsible for designing more than 55 buildings, renovations, and additions in New England over the course of her career thus far, as well as co-designing more than 40 buildings in Rhode Island and Connecticut. Ms. Hence has also served as a freelance interior designer since 1982, and garnered experience as a designer and consulting associate for Michael McKinley & Associates, LLC, in Stonington, Conn., from 1993 to 2001. She is proud of her experiences, as each has allowed her to showcase her artistic abilities while helping clients see their dreams materialize right in front of their eyes. With such a creative mind, Ms. Hence enjoys finding new ways to express herself. She joined the Alternate Newport Historic District Commission in 2017, and The Green Light in Newport, RI, as a photographer and interviewer in 2003. She has also painted various collected media in the Midwest, South, New England, and New York. Over the years, Ms. Hence has expanded her reach by venturing into fields outside of her comfort zone. 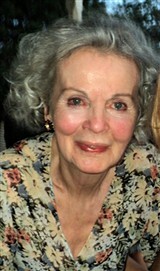 She has owned a variety of business ventures, including a bed and breakfast and a catering company, and was a board member of the Southeast Museum in Brewster, NY. From 2011 to 2013, she lent her services to the role of first vice president of The Point Association, and from 2000 to 2002, she was an alternate for the Westerly Zoning Board. Further, Ms. Hence spent a year on the Westerly School Building Committee and three years on the Westerly School Facilities Committee. To this day, she continues to serve as a member of the board of directors of the Nina Lynette Home. Ms. Hence prepared for her endeavors by graduating from the Traphagen School of Design in 1960 and the Emma Willard School in 1955. She continued her education to stay on top of changes in the field, completing coursework at the Rhode Island School of Design from 1988 to 1990, Yale University from 1986 to 1990 and Skidmore College from 1955 to 1958. In recognition of her hard work and achievements, she was featured in numerous editions of Who’s Who in America, Who’s Who in the World, Who’s Who of American Women, and Who’s Who in Finance and Industry. When Ms. Hence has spare time, she enjoys traveling, reading, opera, and theater.